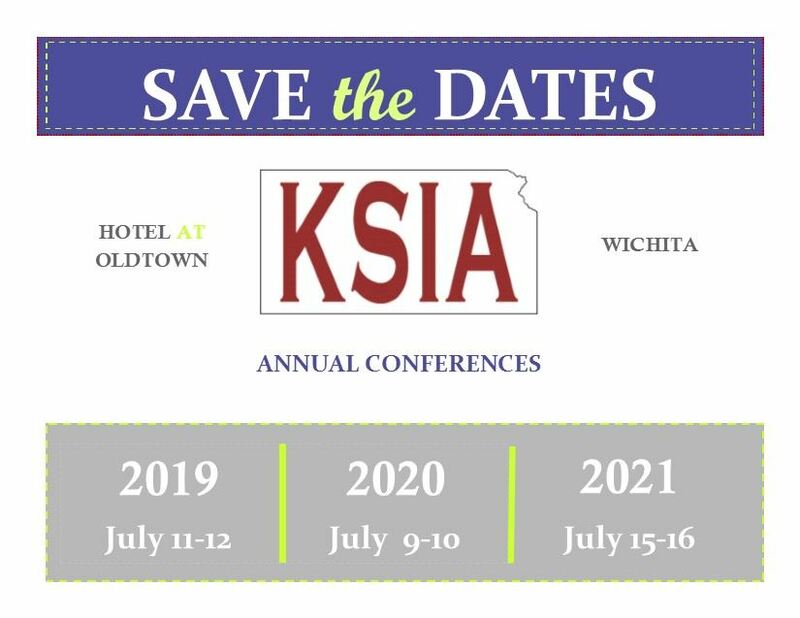 Don’t miss the opportunity to sign up as a sponsor and/or vendor for the 25th Annual KSIA Conference being held July 11-12, 2019 at the Hotel at Oldtown, Wichita, Kansas! Attendance for the Conference is anticipated to be approximately 120. In order to secure a vendor booth at the 2019 KSIA Annual Conference, we must receive your completed form and payment. Booth space will be given on a first come, first served basis. To avoid any confusion, verbal commitments will not be accepted. Accommodations for the Conference are available at the Hotel at Oldtown. The room rate is $ 135/single queen or $145/single king. For reservations, call the hotel at 316. 267. 4800. Be sure to mention that you are with KSIA to secure the special Conference rate. The reservation deadline is June 18, 2019. After June 18, reservations will be accepted according to space and rate availability.